It was the first day of school for many districts Monday. Students across the ABC11 viewing area on the traditional calendar headed back to the classroom Monday morning. 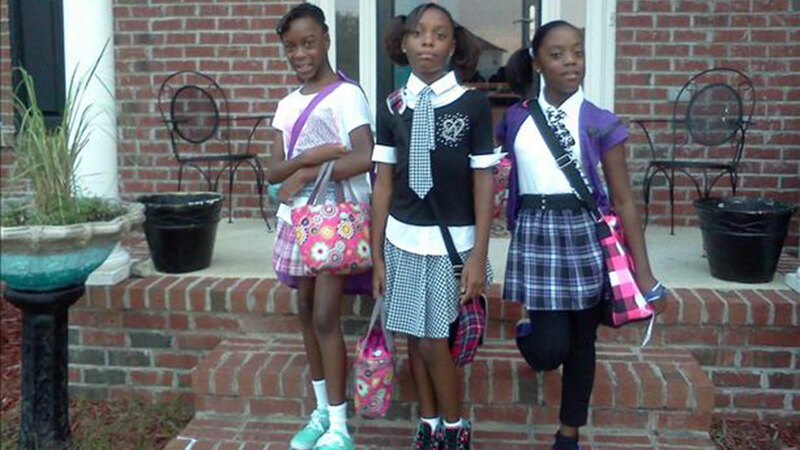 Share your back to school photos with ABC11. We are showcasing them throughout the day on TV and online. In Durham County, the superintendent said all public school students in the county are able to get free breakfasts daily as part of the school system's "Breakfast On Us" program. Dr. Bert L'Homme said the meal should help them stay focused and alert, ready to tackle their assignments and score well on tests. The superintendent also urges adult advocates to stay involved with their student's assignments and academic responsibilities throughout the year. "Meet the teacher," he said. "Meet the principal. Because we know, we absolutely know that students do better when teachers and parents are singing from the same sheet of music and they have the same goals for their children." When you do go, remember to check in first at the main office to make sure school authorities know you're in the building, and the reason for your visit. Lavance Mitchell's already an involved parent. He and his wife escorted their daughter to her Hillside High homeroom for the first day of class. "All through her life, we've been going to her first day. It's a tradition," Mitchell said. Which makes a big difference, according to a father and former middle school teacher. "Because so many children don't have that parental support, especially the fathers in their lives," Charles Bunn said. "So it's really a great feeling to see all the dads who are here today." He and Mitchell are among the dads who participated in the annual Million Father March at Hillside. Organizers urge all fathers to be present and involved in their children's education, while mentoring other youngsters who could benefit from the attention. That's something Mitchell, a barber, said he can do from his chair. "To keep the young men positive, and to help them look better or look good on their first day of school," he said. It's that level of commitment that has Fayetteville Street Elementary Principal Arrica Moseley DuBose saying with confidence "that we're gonna have strong partnerships. Our parents want to see our faces, and we love to see them!" As classes resumed Monday, L'Homme added that the system has recently retired teachers on the school board to fill vacant teacher positions until permanent teachers are hired. In the state's largest school district, Wake County Schools Superintendent Dr. James Merrill said Monday morning the "teacher shortage" was not slowing things down as students head back to school. In Hoke County, students and teachers were welcomed backed with several upgrades. The district showed off $6 million worth in upgrades to make schools a little more comfortable.